Thank you for your interest in our vacation rental program. We specialize in real estate on Roanoke sound and our proven results back us up.  With over $165,000.00 advertising dollars spent promoting our vacation rental homes, our property management company will position your Outer Banks property to capture the most income available in today’s market. Help us get to know your property! Complete this form to help get us a general knowledge of your home. 24/7: We manage vacation rentals 24/7- we respond quickly and professionally to guest inquires, vacationing guests, and homeowners. Also, we respond to emergencies 24 hours a day. We provide all guests with our after-hours emergency number and local police and fire numbers, and we post important information in all vacation homes. We are the constant “eyes and ears” for your property. Instead of sitting empty, vacation homes are lived in, checked and maintained continuously. We meet your guests and we’re available if a problem arises. Marketing: Who knows better how to market your Outer Banks vacation home than a professional property manager? We live here, we participate in our communities, and we are part of tourism efforts. Local events, holidays, and seasonal opportunities are promoted to guests year-round. Reservations Made Easy: In person, over the phone, or online – whether paying by check or credit card, we make it easy for guests to book your property in a secure professional environment. Rental & refund policies are clear and professional. Guest Services: From reservation inquires to secure online booking, check-in to repair calls, housekeeping and inspections, property managers take care of guests and vacation properties 24 hours a day. Housekeeping & Inspections: We employ trained skilled housekeepers who clean your vacation rental home to industry standards. Inspectors are in your property before and after every guest, ensuring consistency and quality and make sure that everything is in order. Maintenance: We make sure all properties are in great shape at all times-safe, clean and in good repair. Our property management company offers professional in-house maintenance services with a timely response to maintenance problems and after-hours requests for emergency services 7 days a week. We use reliable vendors who are qualified to handle practically any situation at fair prices. We offer guests insurance plans to cover against accidental breakages. Accountability: As your agent, we are primarily accountable to you, the property owner. All guests are required to sign a detailed rental agreement and review the policies. We primarily rent to families or adult groups over the age of 25. We do everything we can to protect your home and your investment. High levels of standards and complete real estate services: We are a licensed real estate firm that represents property owners in all transactions.